This promotion is over, please keep an eye on our blog, Facebook Wall and Google + profile for news about HideIPVPN service and promotions. Current upcoming holidays in world of internet IT services are usually time for promotion. HideIPVPN would like to offer you something special as well. Current VPN promotion should be truly interesting for those of you who did not (yet) tried any VPN service. We will give you a chance to try any of our great VPN plans for a very competitive price – join us and hide your IP for good! Before we go into details of our offer, let us do something even more important. HideIPVPN Team members would like to wish you all the best, safe browsing and constant full anonymity in the internet through our VPN servers. We would like to thank all our current customers as well – we would not be here without you! Happy Easter! Now, about promotion. We have looked in our systems and it looks like the most popular with you are “Pay Monthly” VPN packages. Because of that we have decided to offer you all of them with hugely discounted price. If you want to unblock US sites like Hulu, Netflix, Amazon Prime Instant, Pandora and many others you will not find better deal in the net. Same thing if you wish to unblock UK sites (BBC, ITV, 4oD, Demand 5, iPlayer) – with our packages they will all be available to you. If you are one of those versatile people who do not like to be limited by devices, borders, etc. you may wish to try our Super Premium VPN plan that will include access to NL & DE IP range. Those VPN servers will allow you for completely anonymous use of P2P and Torrents. 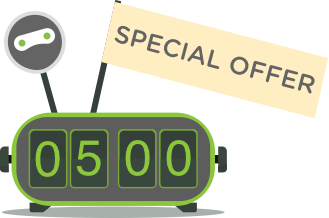 Right now, till 1.04 ( we will update this post to let you know promo has ended) HideIPVPN offers you 50% off on all VPN packages in “pay monthly” option. 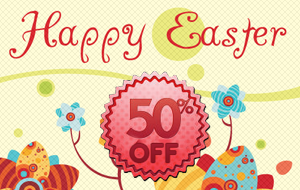 Simply go to our Order VPN page and click VPN that suits you best and enter following VPN promo code: Easter2013. Enjoy discounted price and full privacy and anonymity offered by our VPN network.